This is the greatest time of year! 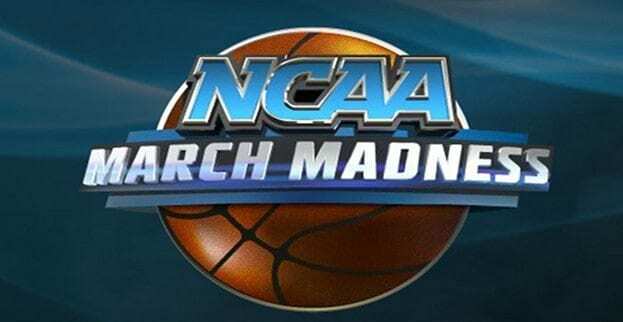 I’m giddy every year when March Madness arrives. For basketball junkies, these few weeks are heaven on earth. But, for those of you outside of this line of thinking, I invite you to consider all that this American tradition teaches us, not just about basketball, but about the human experience. Off the court, we are all a part of a team of some sort. We are on teams at work, we are a part of family units, we participate in athletic teams and clubs, or we may belong to groups or organizations that have a mission that we care deeply about. Many of us also find ourselves in roles as Coaches — parenting our kids, leading a team, guiding a family, or rallying a group to accomplish a task greater than ourselves. So, beyond basketball, March Madness every year reminds us of some irrefutable truths about leadership, coaching, leadership training, and some leadership lessons that improve the effectiveness of our teams. Plus, the experience reminds us of what we love and yearn for as a part of the human experience. Hope Is Powerful. Every start of each new tournament ignites a spirit of hope in all that are lucky to have the opportunity to dance. Hope is a powerful force beyond our understanding. Without fail, underdogs emerge, upsets happen, and a spirit of hope spreads in powerful ways throughout a team. What are you doing to spread a spirit of hope within your team? Mindset Matters. How each individual and each team enters the arena (and with what mindset) impacts their outcome. Those who are not respecting their competition, typically struggle. Those who believe at the core of their being that they can win, typically exceed expectations. Those who are able to quiet the noise of the outside distractions and focus on their craft, typically advance. How are you focusing the mindset of your team? The Most Talent Doesn’t Always Win. Recent successes by teams such as Butler, VCU, UConn, and Wichita State have shown us that cohesive team play, collaboration, unification, and consistency often beats teams littered with individual talent that will all play professionally some day. Talent is very important, but is not the ultimate driver of success. What are you doing to strengthen the cohesiveness and culture of your team? Adaptability Is Critical. Changes of momentum in a single game happen regularly. Things don’t go the way a team planned. An injury occurs. A player gets in foul trouble. A player who they expected to carry the load, has an off night. A player who they didn’t imagine to play a major role, catches moments of brilliance. The game is a series of moving parts and the team that can adapt quickly and adjust, often wins. In what ways are you encouraging adaptability within your team? We All Need A Little Luck. Miracles happen every year. A shot goes in at the buzzer. The ball bounces perfectly in one person’s direction. Something that is completely out of the vision of any pre-planning occurs. Whether on the basketball court, in our business meetings, around the family table, or just along the path of our lives, we like to believe that we are in full control. The reality is that even the best teams and individual leaders or coaches need a little luck along the way. How are you acknowledging and celebrating the little miracles that you’re experiencing on your journey? May your March be blessed with many inspiring moments of Madness. Open your eyes, your heart, and dive into this magical experience celebrating the human spirit. It just might spread into other areas of your life as well. Jason Barger is a globally celebrated author, keynote speaker, and leadership consultant. More importantly, he’s striving to be an above average father, husband, and friend.